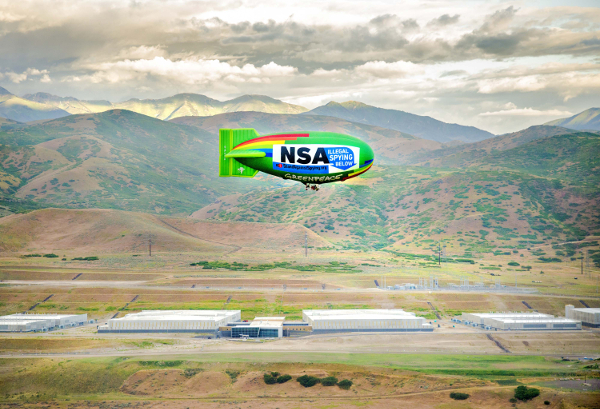 Bluffdale, UT - The environmental campaigning group Greenpeace, digital rights watchdog Electronic Frontier Foundation (EFF) and the Tenth Amendment Center (TAC) joined forces today to fly an airship over the NSA's data center in Utah to protest the government's illegal mass surveillance program. 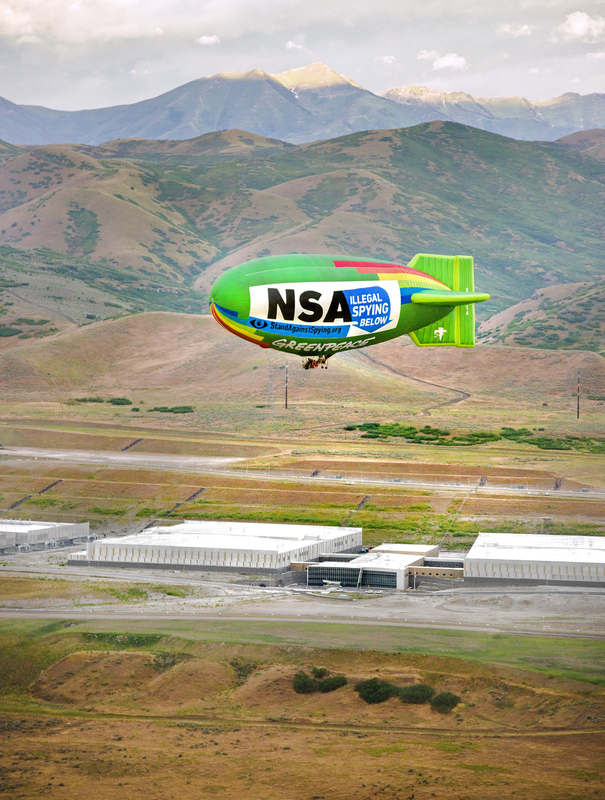 Greenpeace flew its 135-foot-long thermal airship over the Bluffdale, UT, data center early Friday morning, carrying the message: "NSA Illegal Spying Below" along with a link steering people to a new web site, StandAgainstSpying.org, which the three groups launched with the support of a separate, diverse coalition of over 20 grassroots advocacy groups and Internet companies. 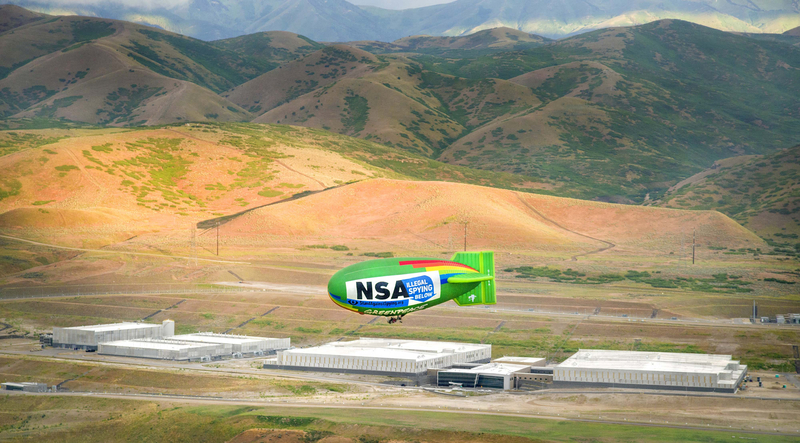 The site grades members of Congress on what they have done, or often not done, to rein in the NSA. 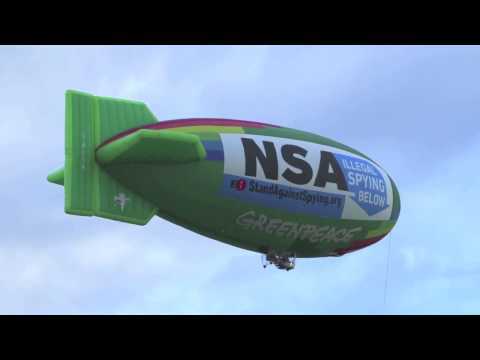 "Rights rise or fall together," Greenpeace Senior IT Campaigner Gary Cook said. "Greenpeace has learned firsthand that people cannot protect their right to clean air and water if our civil rights – including the right to free association and the right to be free of unreasonable searches – are stripped away." "The public needs to be brought into the Congressional debate around surveillance reform happening right now," EFF Activism Director Rainey Reitman said. 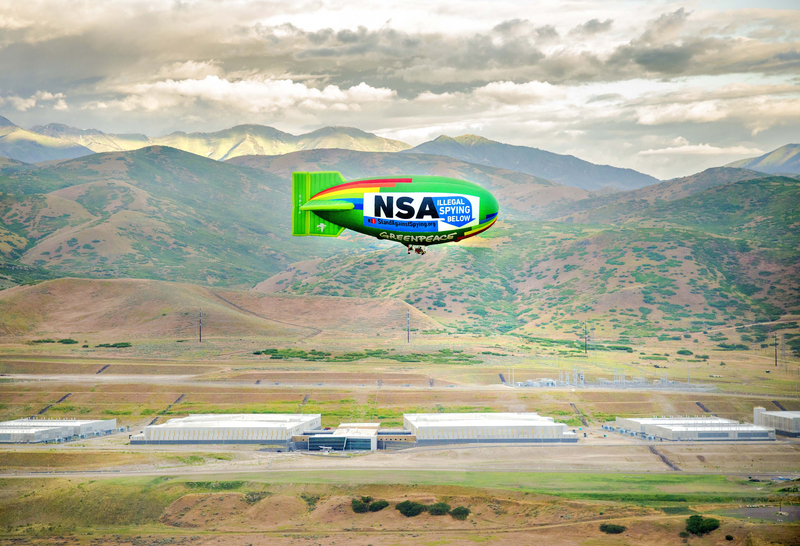 "We're flying an airship over the Utah data center, which has come to symbolize the NSA's collect-it-all approach to surveillance, and demanding an end to the mass spying. It's time for bold action in defense of our privacy." "Our right to privacy is not a partisan issue. It's a human rights issue," said Michael Boldin, executive director and founder of the Tenth Amendment Center. "This coalition gives great hope for the future because it shows that people across the political spectrum can set aside differences to work together for common cause." 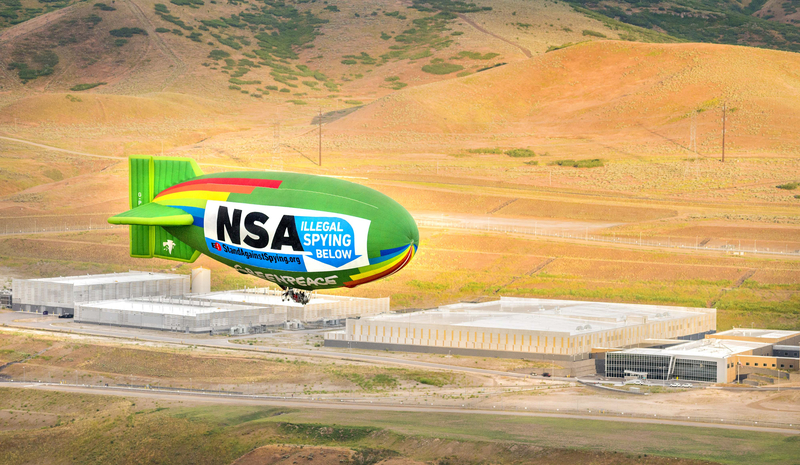 Greenpeace is a co-plaintiff on a lawsuit filed against the NSA by a broad coalition of membership and political advocacy organizations, represented by EFF, for violating their First Amendment right of association by illegally collecting their call records.